Frank Lloyd Wright tours are immersive experiences that allow you to explore the landscape that inspired America's greatest architect. 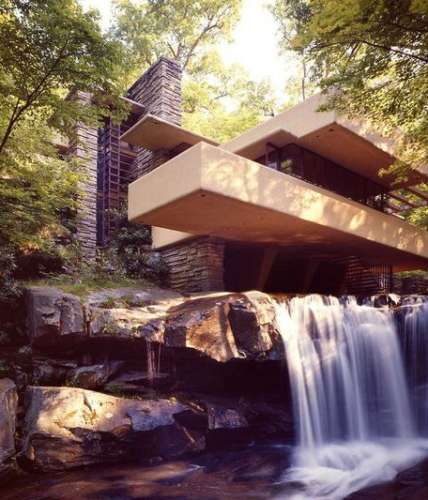 One of the greatest American architects, Frank Lloyd Wright found inspiration in the landscape of Pennsylvania's Laurel Highlands. Four of his homes can be found in the area, each capturing the beautiful natural landscapes surrounding its architecture. 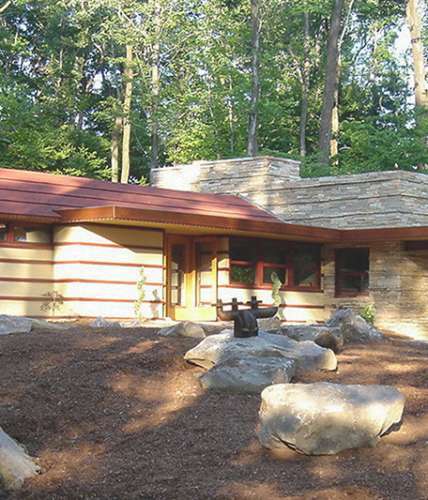 Explore the Wright homes and find your Usonian (meaning affordable for the average American), organic architectural inspiration in the Laurel Highlands. In 1935, the Kaufmann family commissioned Frank Lloyd Wright to design a summer home. The house was to be built along Bear Run, a favorite swimming spot of the Kaufmann family and escape from the hustle and bustle of Pittsburgh. Completed in 1937, Fallingwater blends seamlessly with the landscape and waterfall, fully expressing Wright’s concept of “organic architecture.” Fallingwater seemingly suspends in mid-air above the shimmering cascade, creating the dramatically elegant home. 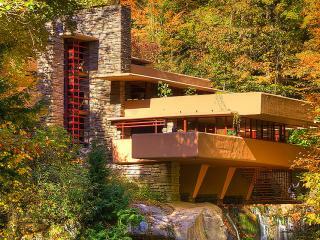 Tour Fallingwater and experience the profound architectural genius&apos; work yourself. Advance ticket purchase is required for all tours. 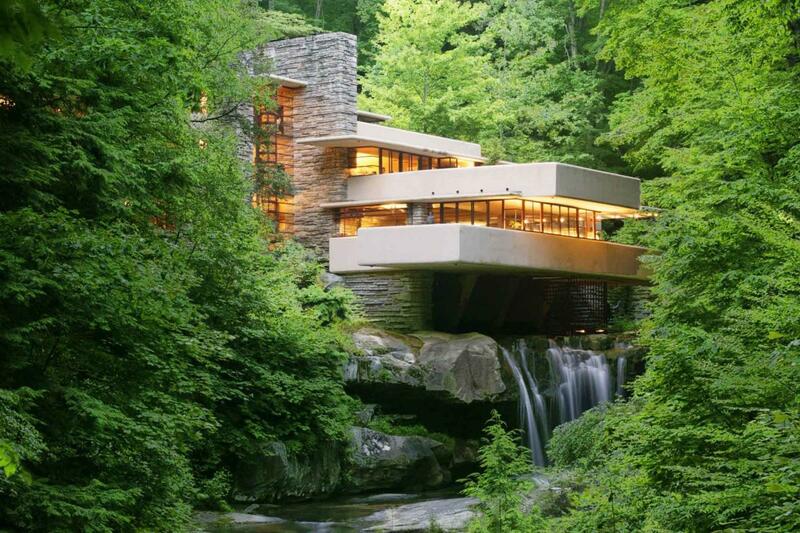 Fallingwater is open from 10 a.m. to 4 p.m. daily except Wednesdays, March through December. 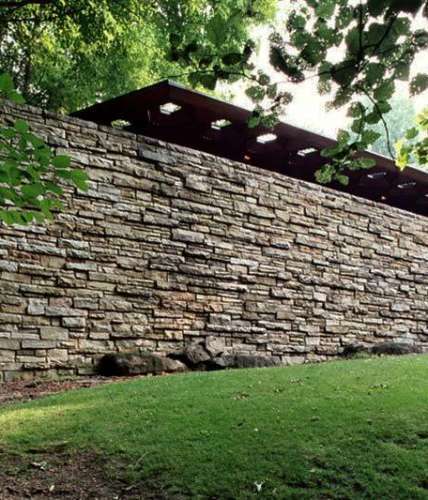 Less than ten miles from Fallingwater sits Frank Lloyd Wright’s mountain house, Kentuck Knob. Built in the early fifties on a bluff 2,050 feet above sea level, the home stands just below the crest of the mountain that it was named after. This one story Usonian home was designed on a hexagonal module. It blends almost seamlessly into the dramatic and serene scenery, appearing to be part of the hillside itself. Built with only two right angles, this unique home also features an extensive art collection, including the sculpture garden on the grounds. Just beyond the home’s back terrace, visitors can take in the incredible panoramic view along of the Youghiogheny River gorge and the surrounding towering trees. Kentuck Knob is open for tours March through December, but hours vary depending on the time of year. Advance ticket purchase is required for all tours. The Duncan House, built in 1957 for Donald and Elizabeth Duncan, was painstakingly and lovingly disassembled in 2004, moved from its original location in Lisle, IL, to its present site at Polymath Park in Acme, PA. The home was reopened in 2007 and has since become one of few Wright homes available for overnight rentals. Another example of Wright&apos;s Usonian style, Duncan House is one of 60 similar designs he built in the mid-to-late fifties. Also on property at Polymath Park is Balter House and Blum House, designed by Wright’s apprentice, Peter Berndtson. In addition to tours, Polymath Park offers delicious cuisine at the Wright-inspired restaurant, TreeTops, onsite, creating the perfect Wright experience. Polymath Park is open March through December (closed Wednesdays) and offers house tours, overnight stays, delicious dining and more. 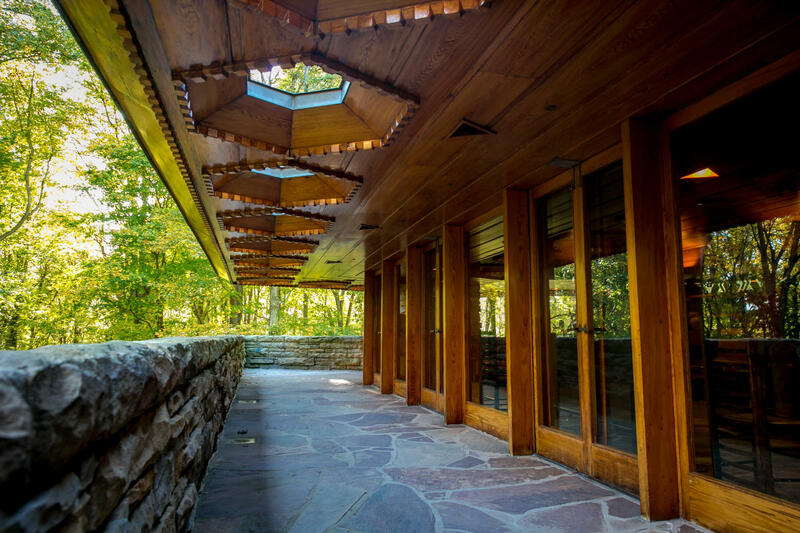 All Wright at Polymath Park tours are purchased through Fallingwater. Advance ticket purchase is required for all tours. 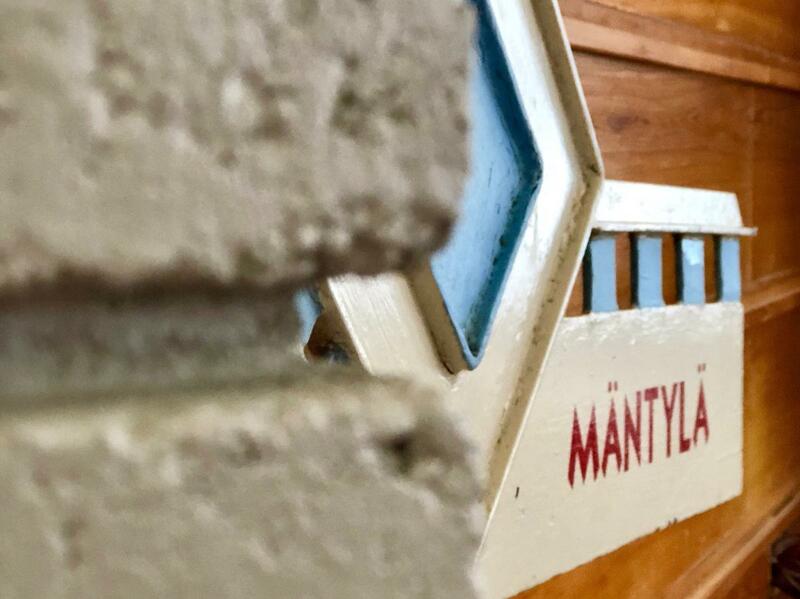 Polymath Park and their talented crew are bringing new life to Frank Lloyd Wright&apos;s Mäntylä. 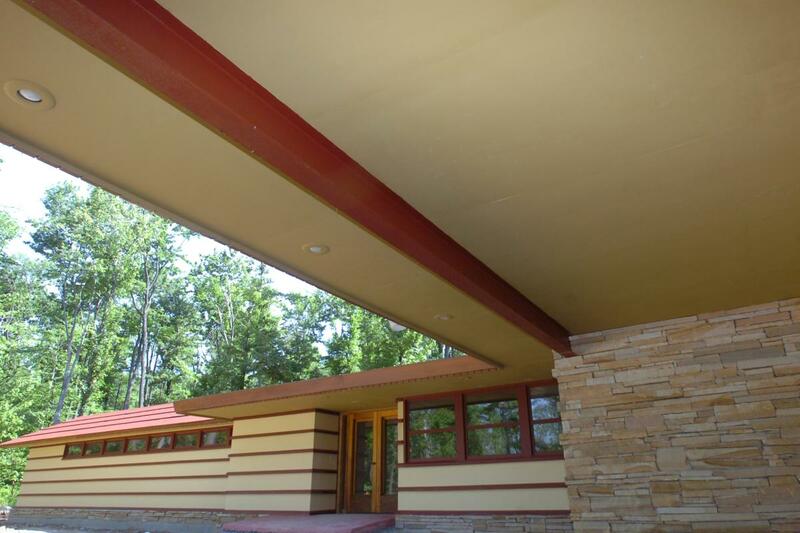 The Frank Lloyd Wright Building Conservancy, McKinney (Lindholm) family and Usonian Preservation Inc. have been working together to accurately and effectively relocate the house from Cloquet, MN and preserve the property for future generations. The L-shaped home with a distinct prow is now tucked away under the towering trees of Polymath Park. Stay tuned for more details of Mäntylä&apos;s opening!